No one understands how important it is to choose the right meal delivery service better than we do. That is why we are here to help you make the best possible choice. While both Atkins Meal Delivery and Mom's Meals offer delicious dishes and rather flexible subscriptions, there is much more to be considered before you make the final call. This Atkins Meal Delivery VS Mom's Meals comparison allows you to get to know these companies better, discover their greatest advantages and shortcomings, and of course, find out which one provides a bit higher quality of service. Mom’s Meals delivers budget-friendly, home-style meals to the homes of people who have special dietary requirements due to illnesses or old age. Mom's Meals offers 4 programs, including LTSS/HCBS (Long Term Services and Support/Home and Community Based Services Program), Chronic Care, Post-Discharge Care, and Self Pay. Mom's Meals provides up to 60 meal choices per week, depending on the program. Mom’s Meals offers low-carb, low-fat, heart-friendly, diabetic-friendly, renal-friendly, gluten-free, vegetarian, lower-sodium, and pureed meals, as well as cancer support meals and nutritionally balanced meals for a healthy lifestyle. The service provides breakfasts, lunches, and dinners. The meals generally include classics and exotic dishes do not appear on the menu often. Mom’s Meals promises to use only high-quality ingredients in order to ensure that its dishes are healthy, tasty, and nutritious. Its meals are prepared in kitchens that are USDA-inspected for quality and safety and they are delivered fresh and cooled in custom-designed containers. Mom’s Meals offers healthy, nutritionally balanced meals and follows dietary guidelines for different health conditions, taking into account the specific dietary requirements of its customers. The portions are not large, but they are adequate . With Mom's Meals, you can order meals each week or opt to have your weekly or bi-weekly deliveries auto shipped. You can change, pause or cancel your subscription at any time, but you must notify the company by 1 PM Eastern Time the Friday before the next delivery date. Mom's Meals does not issue refunds for any meals that have already been delivered. Moms meals are not very good. Some make me sick to my stomach after I eat them and many items have way too much sugar for someone that has seizures. I can only eat portions of the meals that are lower in sugar I never know when they are coming. I won’t be getting them anymore. ABSOLUTELY THE WORST CUSTOMER SERVICE I HAVE EVER DEALT WITH IN MY LIFE. ORDERS SHOW UP WHEN ON HOLD. ORDERS DONT SHOW UP WHEN THEY ARE CONFIRMED. YOU CAN CONFIRM AN ORDER AND NEVER KNOW WHETHER YOU WILL GET IT OR NOT GET IT OR WHETHER IT WILL BE THE ORDER YOU ASKED FOR . EVERYTIME YOU CALL, A DIFFERENT PERSON GIVES YOU A DIFFERENT STORY. I WAS THREATENED THAT IF I PUT IT ON HOLD FOR BEING OUT OF TOWN IT WOULD BE CUT OFF BY THE STATE OF OHIO. FOOD HAS ROTTED IN THE DRIVEWAY BECAUSE THEY SEND IT SO THEY CAN BILL THE STATE OF OHIO AND WASTE TAXPAYER MONEY. WHILE SOME PEOPLE ARE NICE THEY ARE OVERALL TOTALLY INCOMPETENT. FOR MONTHS SHE GOT TWO BOXES A WEEK AND I COULDNT GET THEM STOPPED AFTER AT LEAST 5 CALLS. THEY CONSTANTLY WASTE THE STATE OF OHIO’S MONEY. THERE IS NO ONE IN CHARGE THAT CAN FOLLOW THROUGH ON ANYTHING. THE FEW THAT SEEM TO HAVE IT TOGETHER ARE NEVER AVAILABLE TO TALK ...OR TOO BUSY IN A MEETING. I NOT ONLY WILL NEVER ORDER ANOTHER MOMS MEALS, I WILL FILE A COMPLAINT WITH THE STATE OF OHIO. I AM CONVINCED THEY COULD CARE LESS ABOUT PEOPLE THEY IMPACT BUT GREATLY CARE ABOUT THE MONEY THEY CAN GET BY BILLING THE GOVERNMENT. OH BY THE WAY, THE MEALS ARE NOT THAT GOOD BUT IT WAS AT LEAST NURISHMENT WHEN IT CAME ...PROBLEM IS THEIR SYSTEMS ARE VERY FLAWED AND AFTER MORE THAN 6 MONTHS OF ISSUES AND PROBABLY 20-30 CALLS! I AM DONE TRYING TO GET THE MEALS WHEN NEEDED. I WOULD RATE THEM LOWER THAN ONE STAR IF I COULD. I arranged for these meals for my parents. The meals have a great variety and are good. Yes, they are bland because they can't cater to everyone's taste and need to reduce salt. I did contact customer service and because this was the first order for my parents, it did take some time to get my answers but the woman I spoke to on the phone was very polite and helpful. Thank you, Mom's Meals! The food is tiny in size and tastes like crap most of the food. If they would just cook normal food like normal people would it would be way better. Its hard to even give the food away do to others saying nope wont eat that ever. So far I have talked to lots of people and not found 1 person who likes the food. The pictures r not the way u get it. The piece of rl chicken is not what u get. For the price u pay u can order out and get tons more food and way better in taste. Its cheeper to order out and get it delivered. Plus u will eat it and have left overs. U always hear people complain how bad the food is and they r so right. If u check the state menu don't waste your time. I have done that and there all the same. So save the time and money by having good food delivered and not this so called chief food that has been made bad like u do get in first class planes. If u never had first class food u did not ever miss a thing and got better food in coach by far. Its a joke but now on the other hand if u can eat like Mikey that will eat anything. Poor kid has not taste buds but then u can eat it. But remember u will get a tiny size that is like a kids lunch-able almost. It comes close to that in size. If u don't eat much like tiny bird a day then u will loose weight or if u don't want to loose weight then u need to eat 2 or 3 of them for 1 meal. If u eat more then a normal person u will need 6 or 8 of them. Great for a diet if u want to loose weight. But if u care about the person enough then don't let them have to eat this. Save them and do them a favor. I feel for u all who get this to eat and have no choice I am right with u all. The Atkins diet is one of the most popular low-carb weight loss systems in the world. 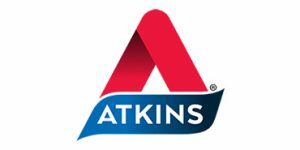 In this detailed Atkins Meal Delivery review, we explore the philosophy behind this weight loss program, discover the range of tools and resources at your disposal, and provide a full insight into the variety and numerousness of ready-made meals, shakes, and snacks in Atkins’ offer.